A few of their favorites to kick-start your sweet, sweet adventures. Cake! Show me a person that doesn’t like cake and I will show you a liar or a fool. There’s nothing more temping than the smell of freshly baked breads and cookies. The alluring scent of these goodies provide a respite from the hustle and bustle of urban life while allowing you to enjoy a moment a moment of sweet reprieve. From chewy loaves of fresh bread to irresistible treats, these bakeries know how to delight with dough. 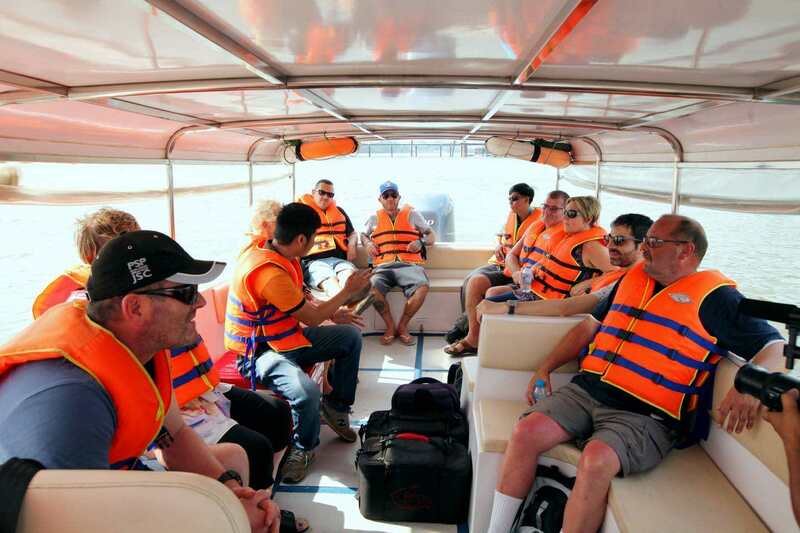 Address: 234 Le Thanh Ton, Ben Thanh Ward, District 1, HCMC. Sweet and Sour uniquely combines the sensibilities of the old-fashioned sweet shop of your childhood with contemporary creativity and innovation for every kind of lover of sweets. 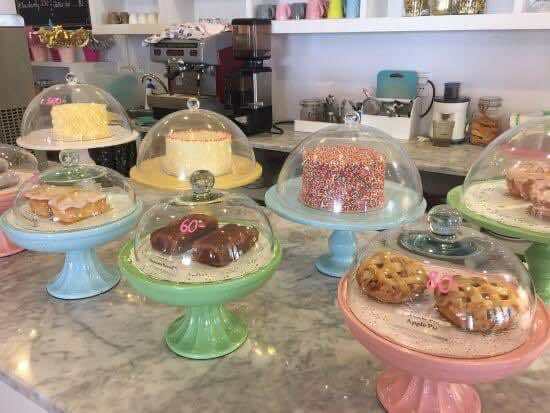 There is a range of cakes, pastries, tarts and sweet kiddie treats on display, and some shiny tables to sit at each with a little cupcake napkin-holder. 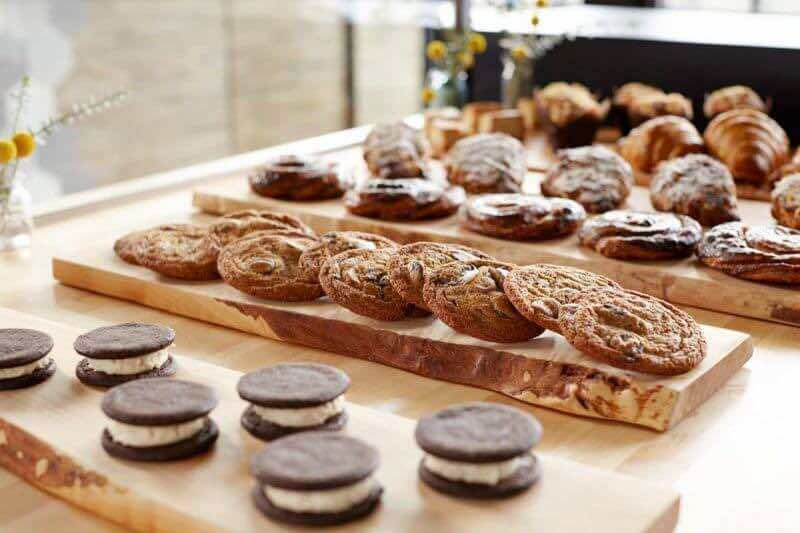 Mrs. B uses nothing less than the finest of ingredients from around the world to provide the highest quality baked goods to satisfy the deepest and sweetest of desires. Perhaps the highlight of a Sweet & Sour experience is their cinnamon roll, a buttery balance of soft and doughy insides and a light, flaky crust. It’s satisfying but not heavy and sweet with a slight hint of cinnamon. The bakery welcomes visitors to an open kitchen where they can watch and be a part of what makes our sweets so special as we mix homemade vanilla essence and pipe away at freshly baked trays of cupcakes. Glass jars full of classic candy treats line the counter and drawers filled with novelty trinkets and gifts surprise curious explorers. 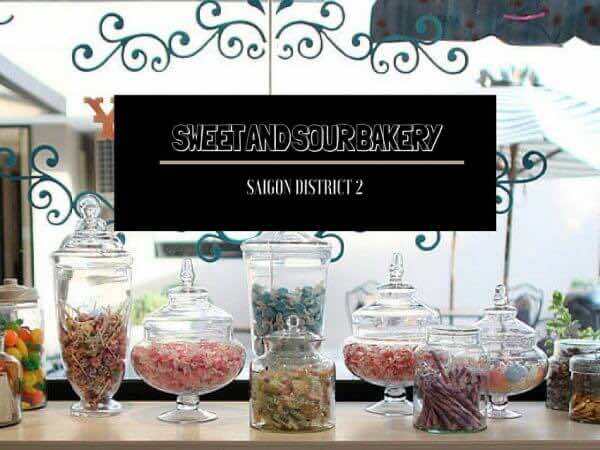 Come visit Sweet and Sour and enjoy the sweets with your family and friends in the outdoor courtyard. 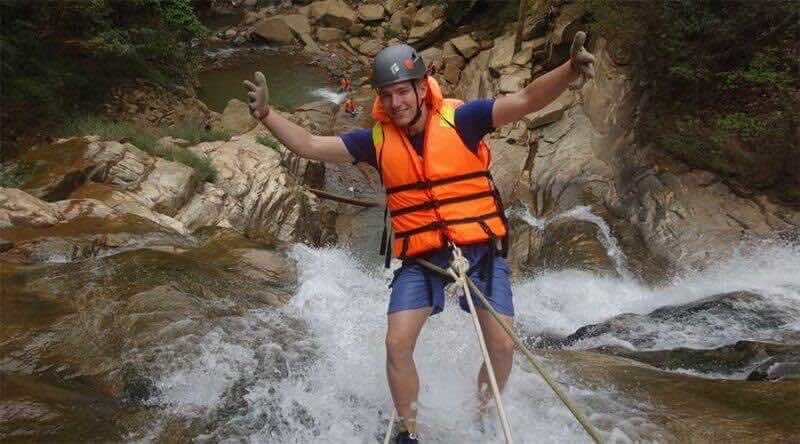 Address: 9 Ngo Quang Huy, Thao Dien Ward, District 2, HCMC. 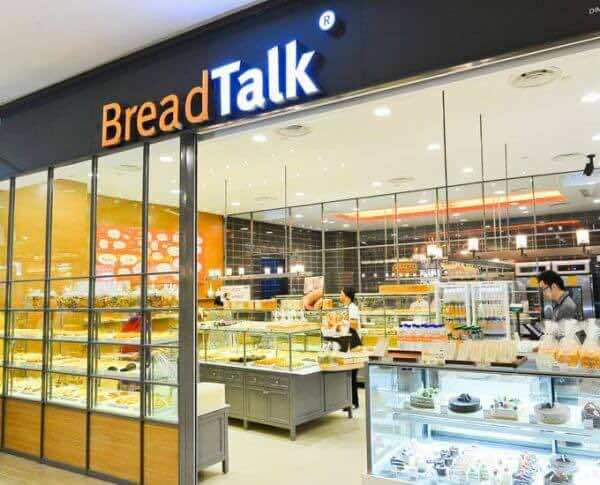 BreadTalk, a pioneer in revolutionizing the image of the bakery industry withits trademark open kitchen, allows customers to view the entire baking process from flour mixing to hot breads from the oven, providing the assurance of freshly-baked products all day long. Every bite’s a joy as we continue to create products that bring an abundance of joy and goodness in order to satisfy the evolving needs of consumers. 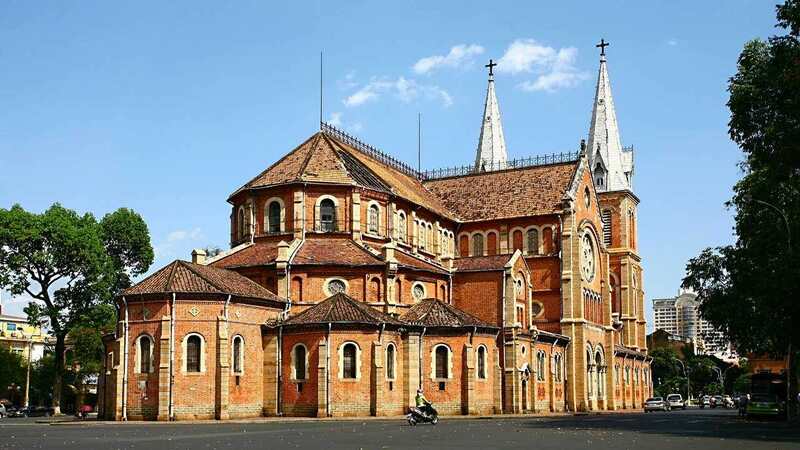 Address: Vincom Center, 72 Le Thanh Ton, Ben Nghe Ward, District 1, HCMC/ 101 Ton Dat Tien, Phu My Hung, District 7/ 106 Nguyen Thi Minh Khai, Ward 8, District 3. 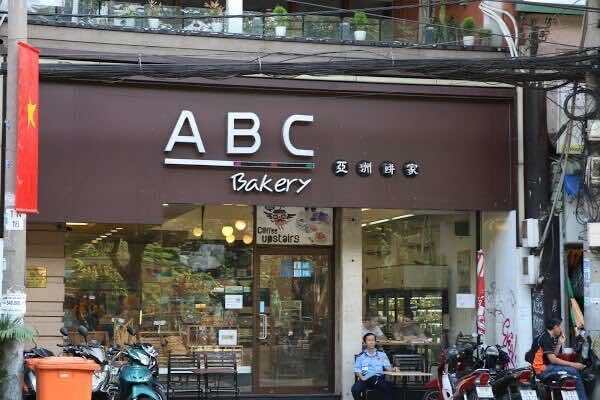 ABC is a home-grown bakery chain based in Ho Chi Minh City known for its high quality range of bakery products such as bread, pastries, cakes and many more. Starting from only 17,000 ($0,80) a piece, getting high quality products does not have to burn a hole in your pocket. 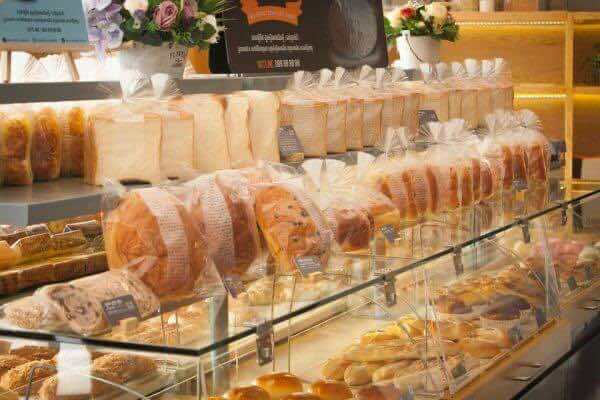 Be spoilt for choice as you will be able choose from over 30 different variety of authentic European-style bread, Danish and other products. The closest thing to French baguette you can ever find in Vietnam. The extra crisp skin of croissants that melts in your mouth makes this the top seller. Together with the delicious range of baked products, it is also known for the aromatic coffee and freshly squeezed fruit juice. 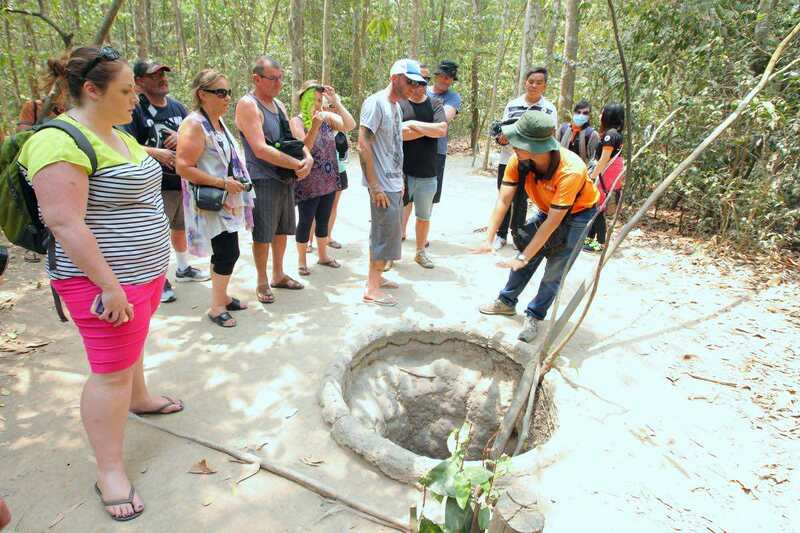 Both Western coffee and Vietnamese coffee are available here. 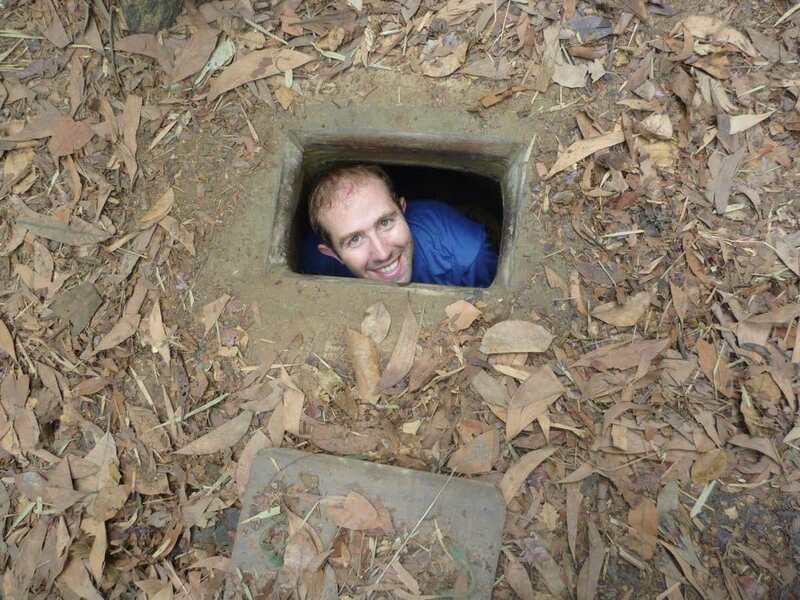 Address: 223-225 Pham Ngu Lao, Pham Ngu Lao Ward, District 1, HCMC. 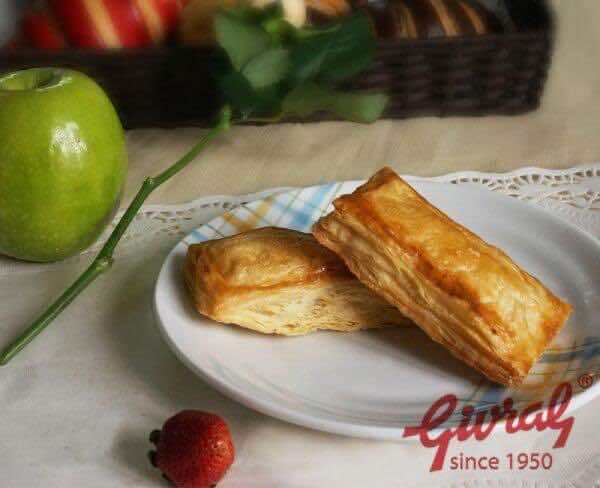 The famous Givral brand was created in the 1950s by a French pastry master named Alian Poitier. 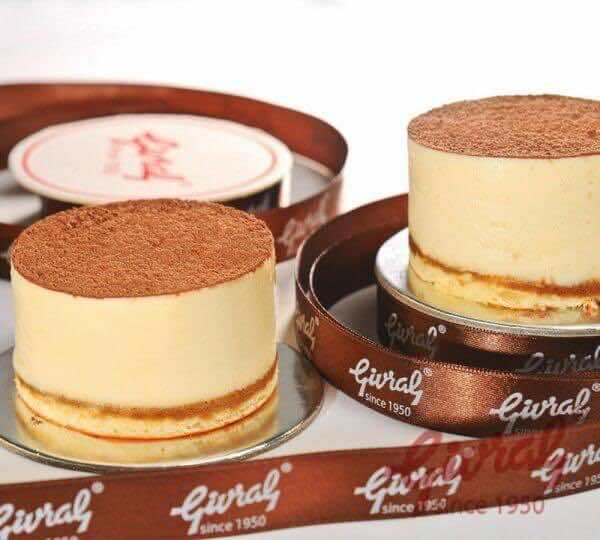 Givral offers a wide range of luxury goods like fresh cakes, birthday cakes, Christmas cakes, wedding cakes, moon cakes, bread and pies. 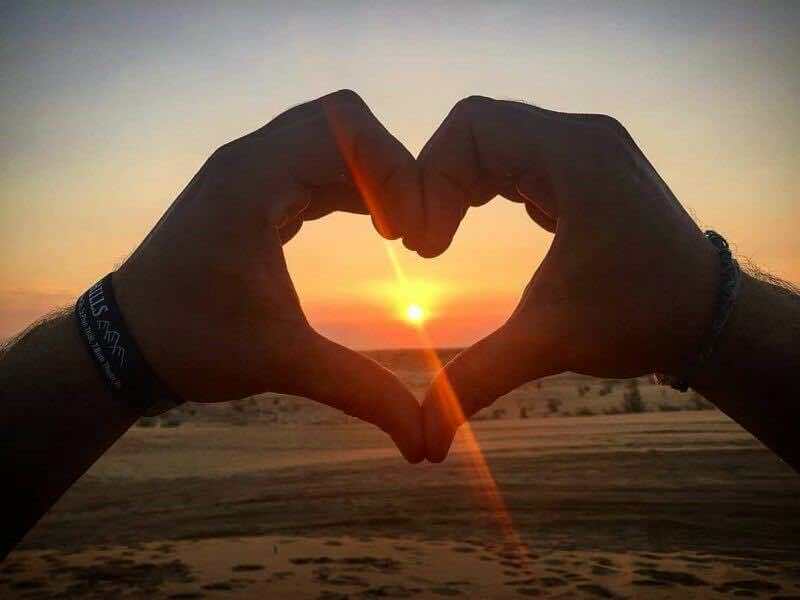 In addition, you’ll be impressed by the attentive service and the staff enthusiasm and friendliness at all the shops in the Girval chains. 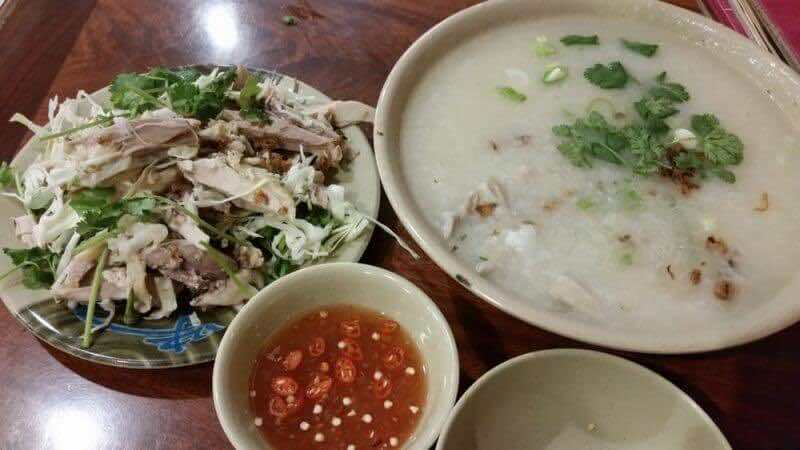 Address: 114 Ham Nghi, Ben Nghe Ward, District 1/ 350 Hai Ba Trung, Tan Dinh Ward, District 1/ 40 Tran Hung Dao, Pham Ngu Lao Ward, District 1/ 235B Nguyen Van Cu, Nguyen Cu Trinh Ward, District 1, HCMC and other branches. 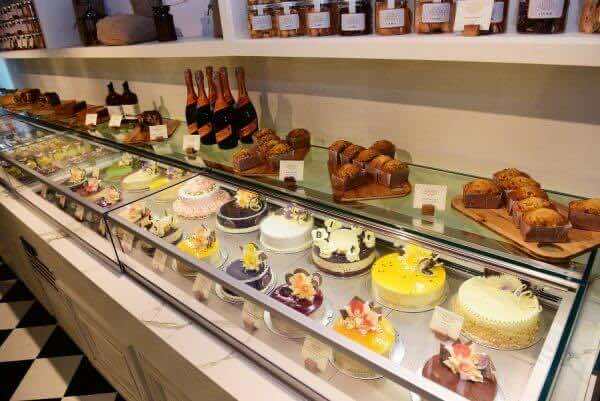 During your time in Saigon, if your desires include melt-in-your-mouth-delicious French pastries, visit Brodard Bakery and make all your dreams come true. 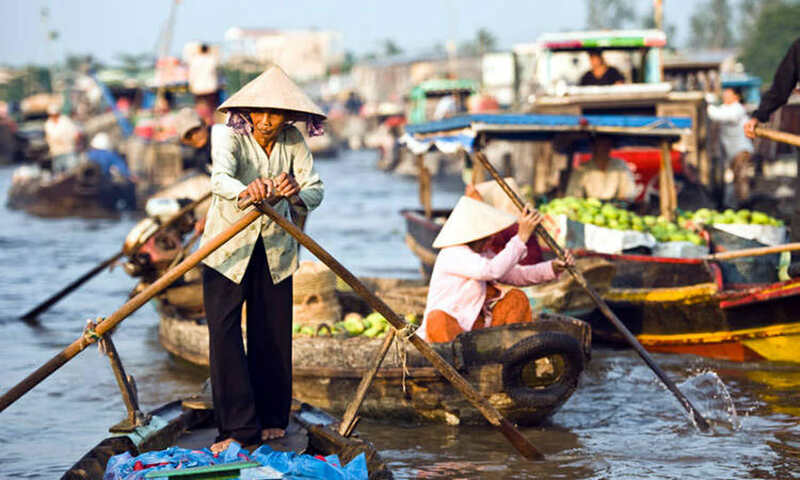 Since 1948, Brodard has stood as an icon of French cultural influence in Vietnam. Brodard Bakery’s expertise derives from old ages traditional French production technology used to create the uniquely delightful French pastries the world has enjoyed for centuries. 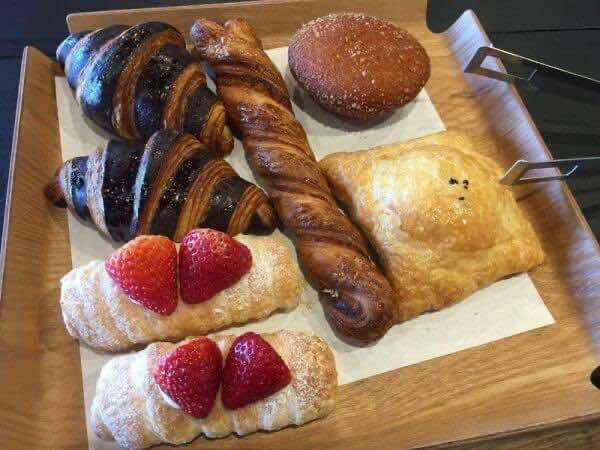 The extensive menu of Brodard features a wide selection of specility breads such as ciabatta or dark rye, pastries including brioche and croissants, cakes, salads and sandwiches made-to-order. In addition, there is a range of coffees, special teas, juices, smoothies and a gelato selection of over 40 mouth-watering, homemade flavors. Baked fresh daily, all Brodard bakery goods are prepared using only the freshest natural ingredients and contain no chemical additives, artificial sweeteners or unnatural preservatives. The well trained production teams adhere most strictly to international food preparation regulations in order to ensure that the highest standards of quality are maintained in the production of all Brodard products. 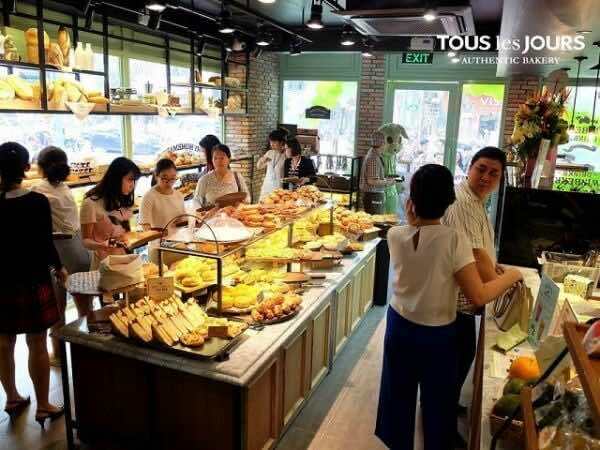 Tous les Jours is a French-Asian Bakery, meaning of ‘EVERYDAY’, serving a unique selection of bakery goods and beverages made with the highest quality ingredients from South Korea. 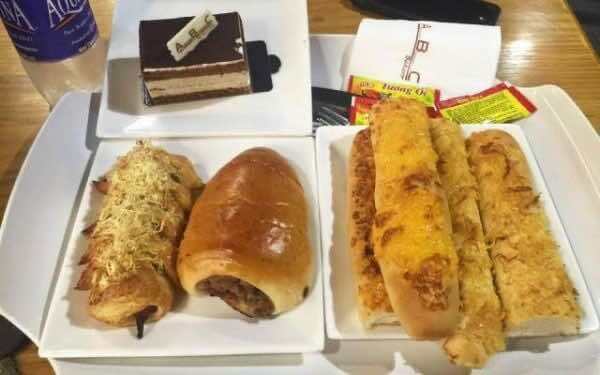 The outlets are places where customers can sit down and enjoy various types of European-tasting bread, cakes, pastries, and sandwiches as well as coffee and other drinks. 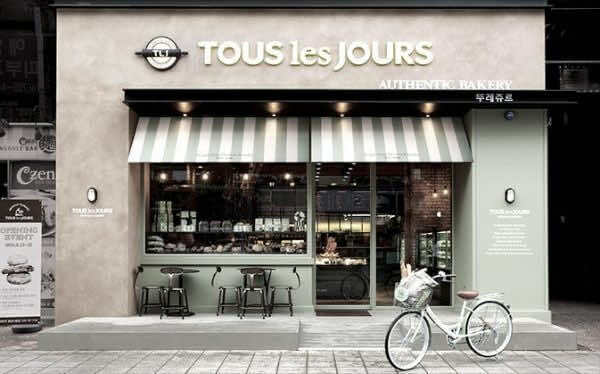 Tous les Jours uses only natural ingredients amongst the wide helm of ingredients available to supply top quality baked goods. They devote countless hours into crafting unique baked goods in order to satisfy their customers. 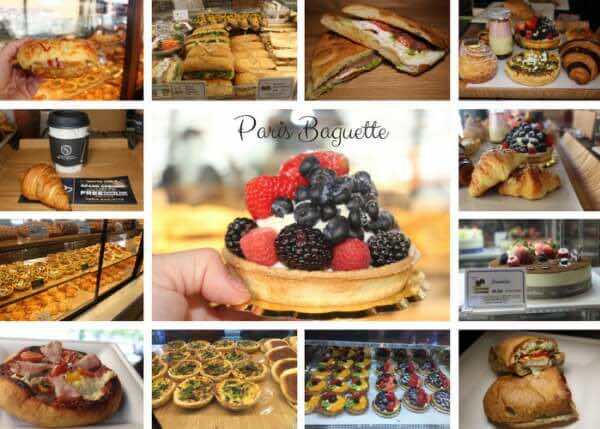 They are an international, franchise, fast casual bakery-café founded in 1988 specializing in French-inspired goods. In addition to chef inspired cakes, pastries, sandwiches and signature coffee, they offer a unique Parisian experience to thousands of customers daily. 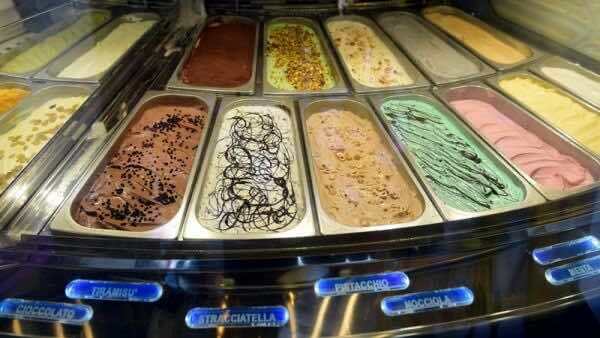 Today, there are over 3000 locations worldwide, satisfying cravings and taste buds of all ages and backgrounds. 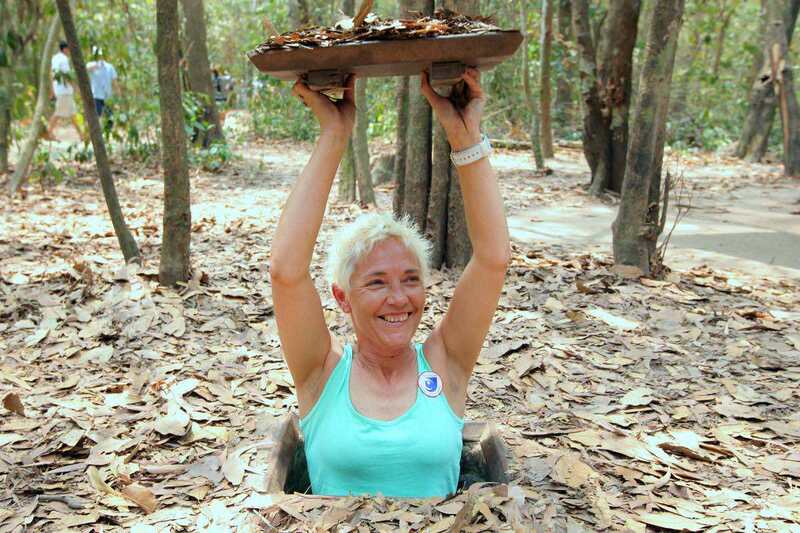 Not to indulge your sweet tooth in Ho Chi Minh City would be a crime. 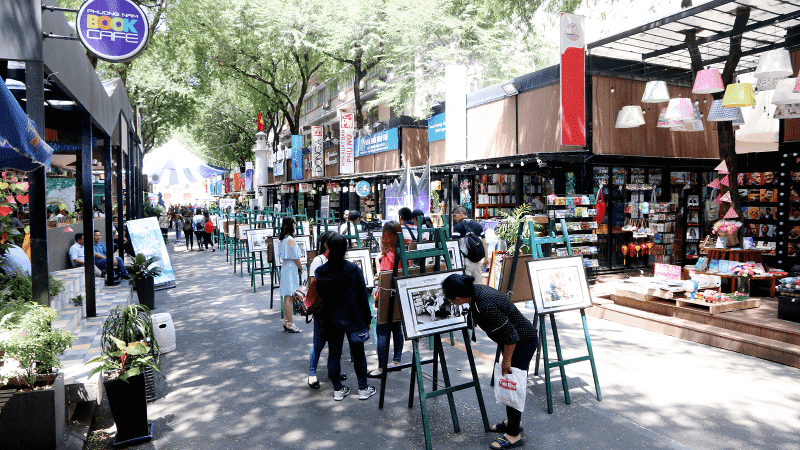 Every corner, it seems, hosts a bakery or cake shop with a window full of glorious gateaux, charming chocolates, beautiful baguettes and other temping treats. 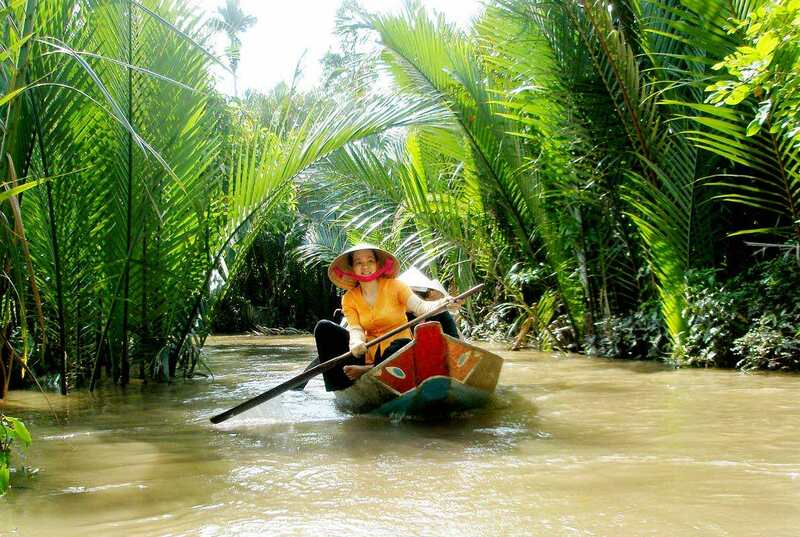 Vietnam for solo travelers, why you should try?